OneMain Financial offers both secured and unsecured personal loans for individuals with bad credit. If your credit is shaky and you need quick access to cash, OneMain could be a good option. They have a variety of options available for you to provide personal property as collateral as well as a low minimum credit score requirement. Read on to find out more about what OneMain offers when it comes to personal loans. OneMain personal loans begin with a minimum of $1,500 and cap out at a maximum of $25,000, although the range may vary depending on what state you live in. You can get either a secured or an unsecured loan; however, if you have bad credit, you’ll likely need to go with the secured option in order to get approved. Interest rates vary depending on the borrower, but we’ve seen annual percentage rate estimates ranging between 25.10% and 36% and loan terms as long as 60 months. Both your credit history and your requested loan amount affect your APR, with smaller loans incurring higher rates. Origination fees vary depending on the size of your loan but typically range between $25 and $40. OneMain branches may not be available in every state, so make sure your location is eligible for personal loans before you get too far into the application process. OneMain doesn’t have any set requirements for borrowers but instead considers your credit history and your financial ability to repay the loan. During the application process, you’ll find that they analyze your income, budget, and other financial responsibilities to help determine whether or not your application is approved. However, some estimates indicate that you should have at least a 550 credit score to qualify. You might also have a better chance of getting funds if you’re already a member of the bank. Start off by getting pre-qualified with OneMain. This helpful step allows you to find out what rates you’ll be offered without affecting your credit score. Simply enter your personal and contact information, along with the last four digits of your social security number to get started. If you like the terms you see, you can continue with the online application process. This includes entering information on what kind of loan you’d like, plus some additional financial and employment items. You’ll get a near-instant response as to whether or not your loan application has been approved. From there, you’ll need to schedule an appointment with a loan specialist at a local branch or remote location. At that time, you’ll talk about what your funding options are, as well as verify your personal and financial information. Some of the required documentation you’ll need to provide include your driver’s license, social security card, proof of income, and proof of employment. Lastly, you simply sign your loan agreement to receive your funds. The entire process can take as little as one day. You have two options for receiving your loan funds: either through direct deposit or by check from a branch location. To pay your monthly balance, you can either submit payment online, in a branch, by mail, through the OneMain mobile app or at a Walmart service desk. When you pay by debit card, you’ll incur a $2.95 fee, and you’ll also be charged $1.00 to $1.50 when you pay at a Walmart service desk. You’ll also be charged a $15 fee for any late payments. If you already have a OneMain loan and need more funds, you are able to apply for another loan. Of course, qualifying depends on your current debt, credit, income, and other factors but multiple loans is a service that some lenders don’t offer at all. In case you didn’t qualify for as much money as you would have liked, you can potentially get a larger loan from OneMain by either using a co-signer on the loan application or by using collateral to back your loan. Acceptable forms of collateral include automobiles, trucks, motorcycles, campers, and RVs. Any collateral you decide to use has to undergo an appraisal to figure out how much value it has. If you decide to use a vehicle, it must be insured to qualify. Remember that anytime you use personal property as collateral on a loan, you’re at risk of losing that property in the event you default on your loan. OneMain also allows you to change your payment due date in certain situations. You must either mail or email the request to your local branch, so it’s not an automated process. You can’t extend your due date if your account is past due, or if it’s before your first payment and the proposed due date would be more than 45 days after receiving the funds. Another perk offered by the lender is known as OneMain Rewards. When you enroll in this program, you earn points by completing tasks such as visiting the company’s website or interacting via social media. You can eventually redeem your points for gift cards and other discounts. OneMain has been around for 95 years and is one of the nation’s largest lenders with a physical presence. They’ve had over 3.5 million loan customers, totaling $10 billion in loan volume. It’s headquartered in Evansville, Indiana and will soon merge with OneMain Financial, a move that will nearly double its staff size. A OneMain loan may not be right for everyone, but it could be right for you. Here are a few key considerations to take into account before you apply. OneMain caters to lower credit individuals, so if you have good or even excellent credit, you’ll probably find a better fit elsewhere. That being said, just because OneMain provides loans to many individuals with poor credit scores doesn’t mean it’s an automatic perfect fit. Carefully review your loan offer details, paying particular attention to any upfront fees you’ll be charged as well as your interest rate. Make sure you can afford the proposed monthly payment, being sure to leave some extra room in your budget for savings and emergencies. Also be aware of your loan term. Even if you have a low monthly payment, you could end up paying a large sum of interest if it’s spread out over a long period of time. No matter how good any deal sounds, remember to shop around at a few other lenders for comparison. It can’t hurt, particularly if you can get pre-approval offers that don’t affect your credit score. 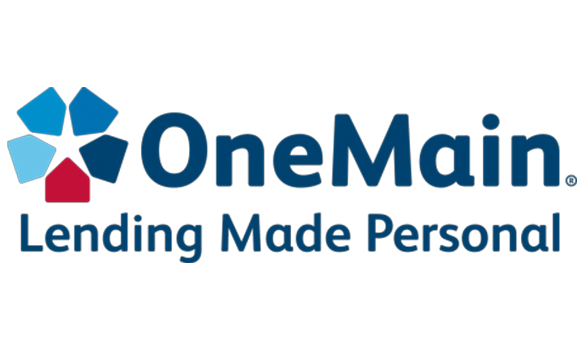 Many lenders provide that service these days, and OneMain is one of them. It helps you make a more informed decision without worrying about what’s going to happen to your credit. Is there a OneMain near you? Although OneMain is available in the majority of states and provides an online application, you do need to go to a physical branch location to verify your personal and financial details. Most online lenders don’t require this extra step, but it might actually feel good to talk to a real-life person who can help clarify any questions you have about your loan terms. As long as it doesn’t feel like a huge trek or burden to make the appointment, it may be in your best interest to have that additional layer of customer service before you agree to sign on the loan. When should you use collateral for a personal loan? Using your personal property as collateral for a loan comes with huge implications that need to be weighed carefully. When you get a secured loan, you have to use something like your car or boat to back the loan. That means if you fall delinquent on your payments, the lender at some point (depending on your loan agreement) may take ownership of that property to help settle your debt. Don’t just assume that because you have the ability to meet your obligations today that the same will hold true in the future. It’s very risky to use collateral on a loan. You might end up having trouble paying your bills because you lose your job or get sick — not because you want to intentionally default on a loan. It’s best to have some sort of backup plan or cash savings to prepare for the worst, especially when using your own property as collateral. However, depending on your credit history, a secured loan may be the only option you have to get approved for financing. In that case, you need to compare the risk of losing your car or other property to the risk of not getting a loan. Is the loan being used for something that is an emergency or absolute necessity? Consider those terms in the strictest way possible to make sure you don’t make a decision that ends up costing you money and your personal property. We've researched the best online personal loans for any type of credit.